This entry was posted on May 10, 2017 by Nick. Father’s Day is the perfect opportunity to show your dad, stepdad and grandad how much they mean to you. 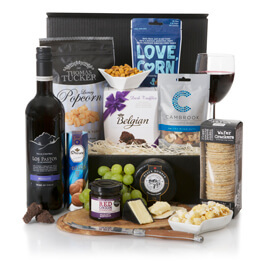 Hamper.com has a fantastic collection of Father’s Day hampers that are packed with delicious treats that he’ll love but if you’re looking to give a truly personal gift, then we can help! 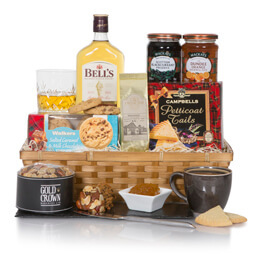 With our ‘Create Your Own Hamper’ tool you can build a personal gift from scratch, choosing from over 150 food and drink items to create a hamper you know he’ll love. From smoked meats and indulgent cheeses to craft beers and ales, create the perfect gift hamper for him this Father's Day! Smoked chicken, duck and salmon are all available when choosing your items. Perfect for adding a touch of luxury, we source all our meat and fish from the best possible suppliers. For the ultimate indulgent treat, then why not add award-winning Scottish sliced venison? If he is a bit of a 'foodie', then why not choose a gift basket from our delicious food hampers collection! Each one is packed with a wide range of treats from the finest suppliers. 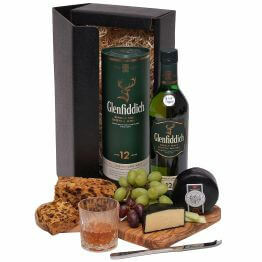 Cheese is always a popular addition to a gift hamper and we have several indulgent cheeses to choose from. The Applewood Smoked Cheddar Wedge and Snowdonia Black Bomber are just two of the delicious selections available if you know he loves cheese! 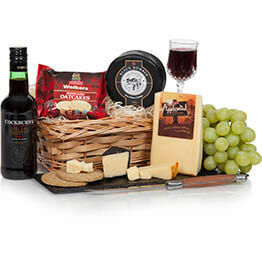 If you'd rather not start from scratch with a hamper, then why not choose the Port and Cheese Hamper. Featuring Wensleydale with Mango & Orange as well as the delicious Cheddar, he'll love this luxury present. From dark chocolate pastilles and chilli truffles to raspberry bites and Belgian chocolate hazelnut thins, we have a fantastic collection of chocolate treats available. Discover our full range of chocolates that are perfect for a Father’s Day hamper! Choose from traditional beer favourites like Budweiser, Stella Artois and Corona Extra or spoil him with unique alternatives like Hunters Brewery ales and James Boag lager. 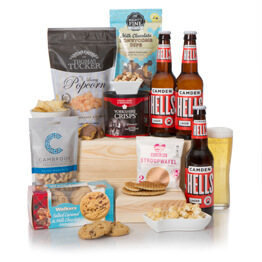 Browse Hamper.com's range of luxury beer hampers for the perfect gift for a beer lover! If your dad prefers wine, then we have a wonderful selection of reds, whites and rosés from vineyards all over the world. For the ultimate alcohol treat, choose whiskey, Champagne or Port! 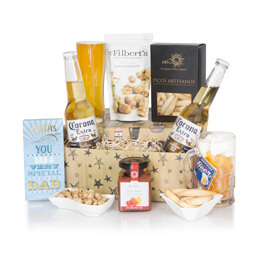 Alternatively, if you're looking for an alcohol free gift this Father's Day, then why not view our fantastic collection of alcohol free gift hampers. Perfect for putting a smile on his face without the hangover! 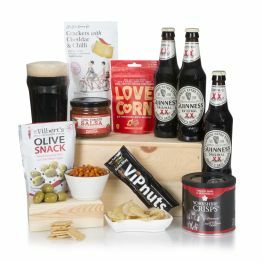 Discover the full range of next day hampers that we have available, perfect for Father's Day and many other occasions! 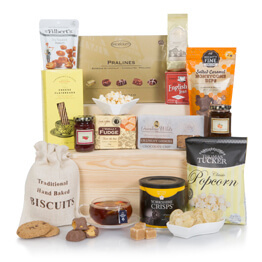 Buy a gift hamper before 2pm each day to be eligible for free next day UK delivery! 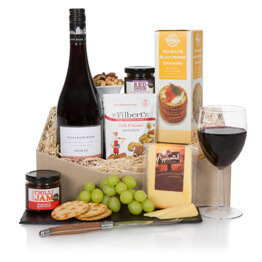 Whether you're creating your own gift hamper or selecting one of our existing gifts, you can choose your preferred date of delivery to ensure it arrives in time for Father's Day. You can fin our complete Father's Day Gift Guide here.